Add a little crunch and chewy to your bread. 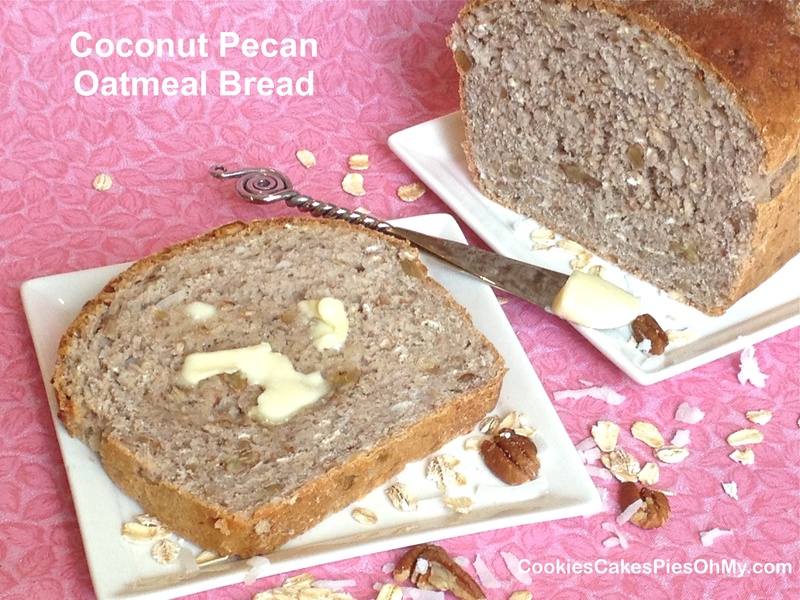 This is great to eat a plain slice or toast it. I love coconut! In bowl of stand mixer, pour warm water, sprinkle yeast, and then maple syrup over yeast. Let sit for 5 minutes or until bubbly. 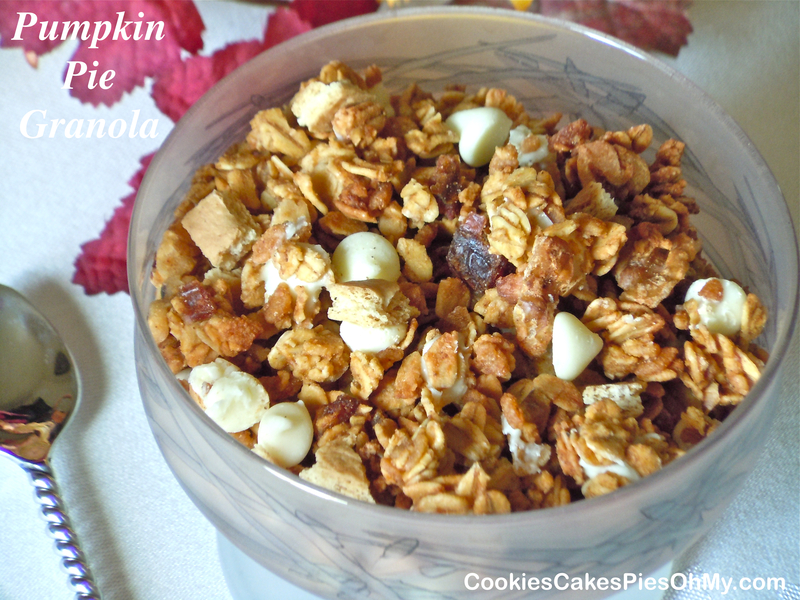 Add oil, coconut extract, 2½ cups flour, oats, salt, coconut, and pecans. Add more flour, up to 1/2 cup, if necessary, to make dough that just comes together. Mix and knead. Turn out into sprayed bowl, turn dough over to coat. Let rise in warm place 45-60 minutes. Shape into loaf and put in sprayed loaf pan. Let rise in warm place about 30-45 minutes. Bake in preheated 375° oven for 30-35 minutes. 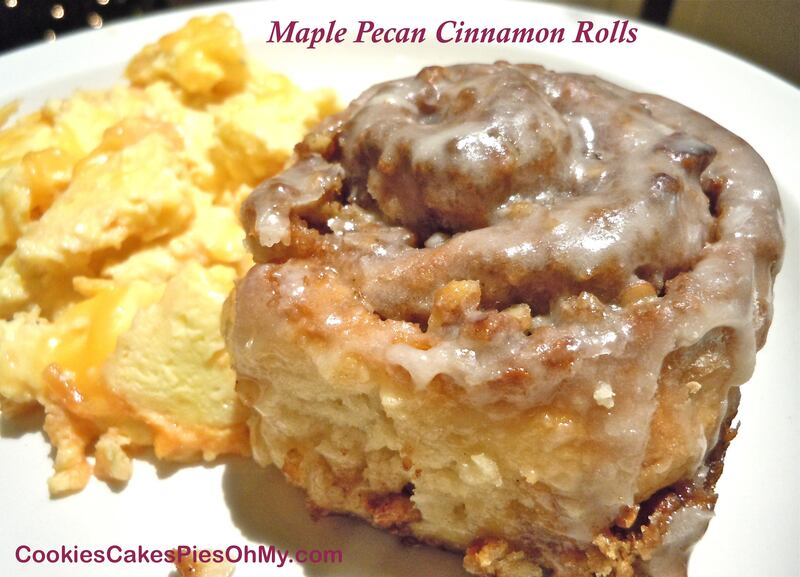 Cinnamon rolls using a quick bread instead of a yeast bread, I like it. So did my husband and sons. Recipe from bakingdom.com. Combine brown sugar, sugar, pecans, cinnamon, and salt in medium bowl. Add melted butter and stir with fork. Set aside. In large bowl, combine flour, sugar, baking powder, baking soda, and salt. Add buttermilk, syrup, and 2 tablespoons of the melted butter, and stir until just combined. Transfer dough to a floured work surface and knead until smooth (it will still be very soft and a little sticky, but will be smoother and less lumpy). Place in lightly floured bowl, cover, and chill for 20 minutes. Preheat oven to 425°. Spray a 9″ square pan with non-stick spray. Roll out chilled dough into a rectangle about 18″ X 8″ on floured surface. Brush 2 tablespoons of the melted butter over dough. 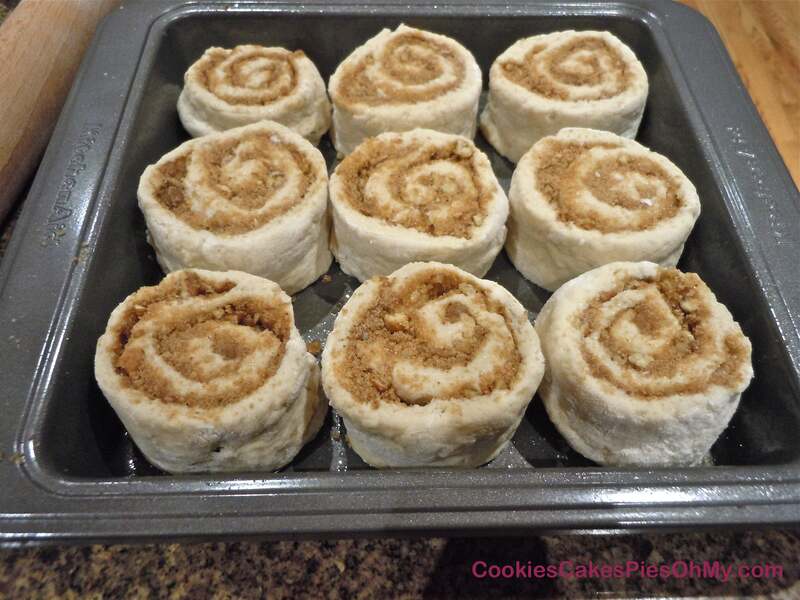 Pour cinnamon filling over dough and spread evenly, leaving about a 1/2 inch along one long edge. Press filling down to pack it on the dough. Roll up to create a tightly rolled log (be gentle, as this will likely stick to the counter a bit, use flour and spatula to help). Pinch seam closed and lay seam side down. Cut into 9 even pieces (about 2″ each), and transfer to prepared pan. Brush with the remaining 2 tablespoons of melted butter. Bake for 20 to 23 minutes, until golden brown. In medium bowl, cream butter and maple syrup, add powdered sugar. If too thick, add a teaspoon or so of milk to make drizzle consistency. 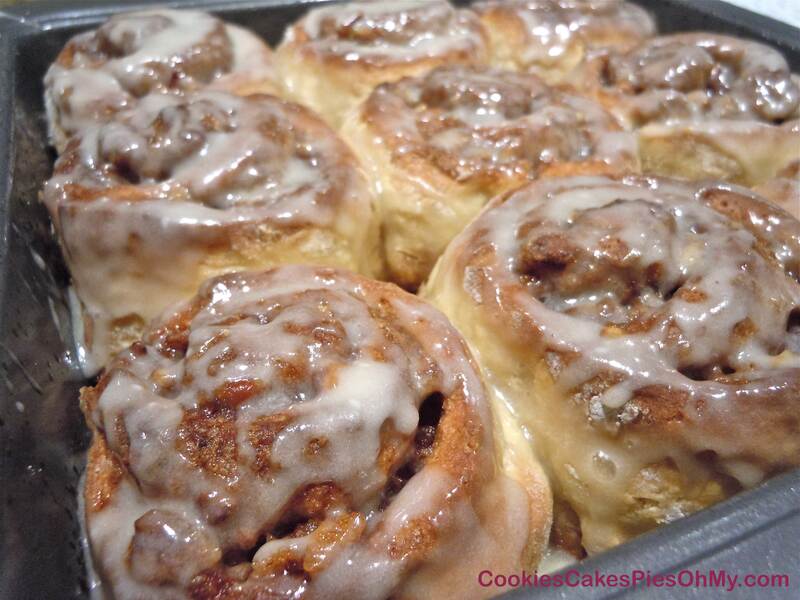 Allow cinnamon rolls to cool in the pan for about 5 minutes. 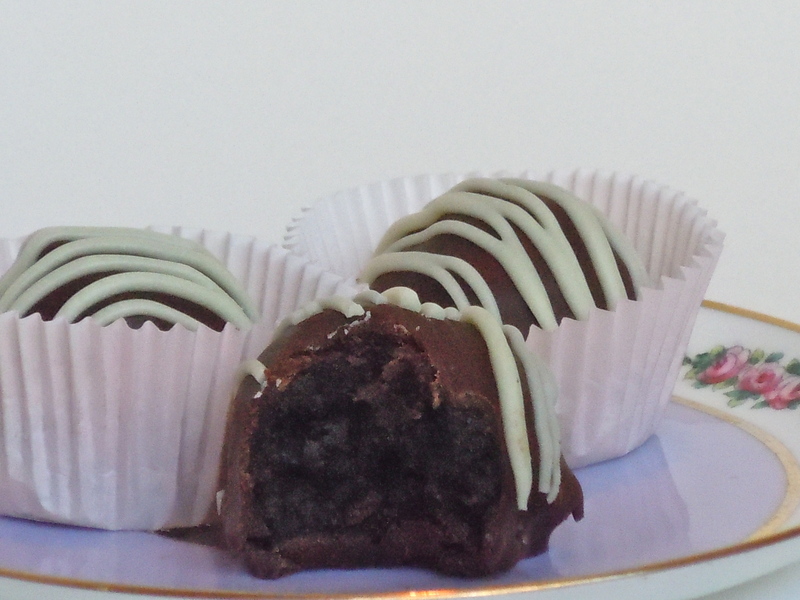 Pour icing over rolls. Serve warm.